This is a title of an article that has been presented at the IPA Annual Convention and Exhibition 2007. 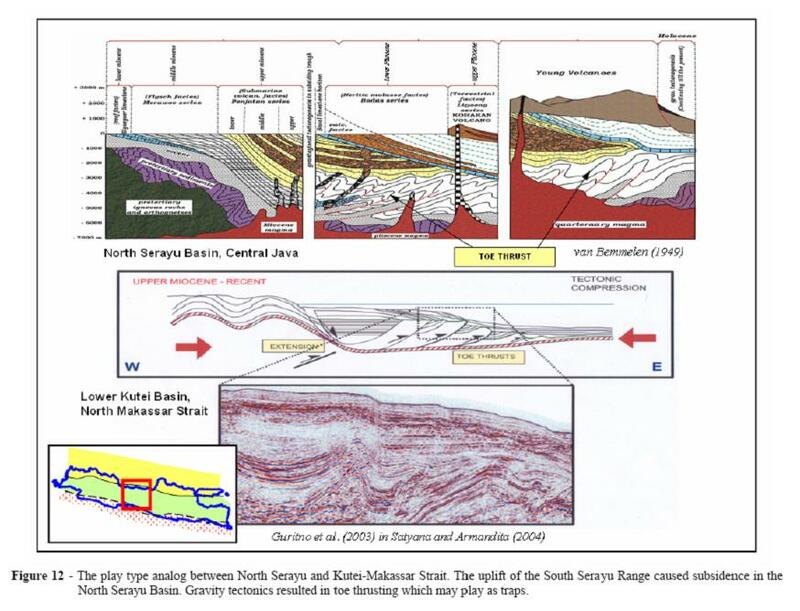 This article reviews the tectonics of Central Java Indonesia. This area shows a conspicuous re-entrant or indentation of its coastline compared to those of the western and eastern parts of Java Island. This indentation is considered to express wrench segmentation of two major Paleogene strike-slip faults with opposing trends and slips are responsible for the indentation. The two faults are considered to cause significant geologic changes in Central Java. Tagged awang satyana, central java, hydrocarbon exploration, indentation, Paleogene, petroleum system, tectonics, tectonics of indonesia, wrench fault.